Pro bono legal services rendered by a lawyer must be taken into consideration before he/she is given a promotion, Union Law Minister Ravi Shankar Prasad said here on Thursday. 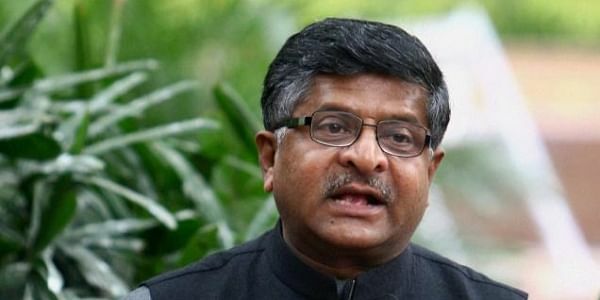 NEW DELHI: Pro bono legal services rendered by a lawyer must be taken into consideration before he/she is given a promotion, Union Law Minister Ravi Shankar Prasad said here on Thursday. He also emphasised that the Section 436A of CrPC -- which speaks of undertrials' right to freedom -- should "become a movement". "I always believe if we have to make access to justice a kind of a movement some kind of incentives should have to be there for lawyers too...not necessarily monetary, but something more, and how it can be done," Prasad said while addressing a gathering of top judges, lawyers and para-legal volunteers (PLVs) on the occasion of Legal Services Day. "I am clear the time has come to explore if genuine pro bono lawyering should be made an important precondition of consideration for elevation. I feel very strongly about it," he said at the event organised by the National Legal Services Authority (NALSA) and attended by Chief Justice of India Justice Dipak Misra and others senior judges of the Supreme Court. "When I talk of pro bono lawyering, I am very clear I mean legal aid with empathy and compassion and not for publicity," Prasad said, adding that he was sure the senior judges were "seasoned enough to segregate as to which lawyer is giving legal advice as a proforma compliance and who is giving with commitment". "If these initiatives are taken, I am sure providing access to justice to all will become a great movement," he added. Prasad stressed that India's constitutional polity has become matured and almost a beacon to the rest of the world, but one of the most important components of constitutional democracy is access to rule of law and access to justice. And rule of law can become fundamental only and only if access to justice is available, he said, adding that cases, especially criminal cases, which are 10 years or older should be expedited so that the undertrials do not have to languish in jails unendingly. He said that modern technology such as deposition of witnesses through video conferencing, should be harnessed to expedite trials in the courts. "Section 436A (of Criminal Procedure Code or CrPC) should become a movement," Prasad said. As per Section 436A, if an undertrial has undergone detention for a period extending up to one-half of the maximum period of imprisonment specified for that offence under that law, he shall be released by the court on his personal bond with or without sureties. The Minister said that his ministry is contemplating to roll out nationwide the scheme of NALSA volunteers being available to give pre-litigation advice at common service centres on certain days, after the success of the scheme on a pilot basis in Uttar Pradesh and Bihar.